Jeremy hails from Dallas, Texas. He is an avid marathoner having completed 12 marathons, on 4 continents. Jeremy is a three-time Marathon Adventure alum having first traveled with us to Athens in 2010 to participate in the 2500 Anniversary Marathon. 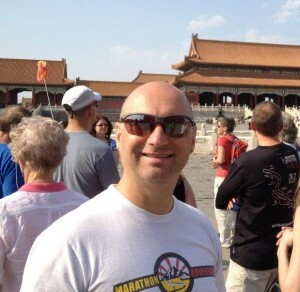 Following Athens, Jeremy joined us again for a marathon at The Great Wall of China in 2012. Most recently Jeremy joined us on our epic Adventure to Victoria Falls in 2014. Jeremy served as an Adventure Guide in 2013 for a previous Adventure to China. Outside of running, Jeremy is a retired Sergeant with a local police department. He also enjoys spending time with his partner and kids traveling the country.